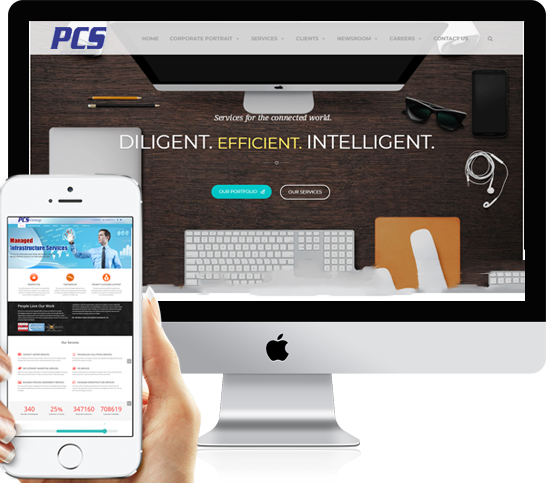 PCS group is defining the new way to benefit customers from its services across the globe. 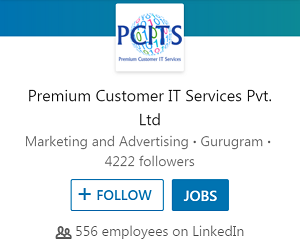 be it to thrive in the connected world or meeting the new requirements for agility, PCS group is defining the new way to benefit customers from its services across the globe. PCS Group is committed to provide the complete solutions to its clients in every possible way. Believing in customer services as the key to business, the company ensures installation, implementation and maintenance of every call center with quality support and services. The entire floor is networked separately for Voice and Data using AMP CAT 5e Network cable providing each seat with a LAN and VOICE Point. There is a room for the data and voice network in the server room set up on the floor itself while keeping it separate and secure from other networks. The telecom fibers and direct lines to the server room have been also provided. This company has facilitated all its clients the required services with cutting edge technology. On an exclusive basis, PRI lines are provided to make it easier as well as convenient for the people involved in client’s operations to get a seamless access to the voice lines without any disturbance. A range of server systems is present at the facility from database to security servers and stands alone to blade servers. Standard servers for the dialer operations to run the client process are provided as the part of package. Keeping the client’s requirements in mind which ranges from storage servers or space to withhold the data for a given time, company never leaves any stone unturned in fulfilling the client’s demand. Setting up call back in predictive mode based on basic disposition of the Dialer as well as customized disposition for the campaigns as created by the administrator. Facility to set strict mode for a call back so that the same agent receives the call the next time when the lead is called back. Detailed ACD reporting with all such stats as Total Calls Offered, Percentage Offered. Percentage Abandoned, Average Talk Time, Average Call Handling Time, Total Hold Time, Average Hold Time, Total Queue Time, Average Queue Time, etc. All reports based on Dispositions, List Call Summary and Customer wise reporting etc. Secured process of taking vital information like credit card details etc from the customer by doing a conference call between the customer and a customized IVRS. A dedicated technology team with an expertise in dialer management, floor support management, vendor management, equipment management will be provided to manage the technical infrastructure delicately used for the client operations. Emphasis will be laid down to each and every system on the operations’ floor and a no failure situation at each and every system has always been the motto. The voice file access can be password protected for greater security especially in outbound sales calling. Administrators of IT can use HTTPS connection for additional security. A certified voice license codec is provided on each agent system providing un-matched voice quality and making the Agent computer a standalone sufficient machine for data and voice features by just using an ordinary headset. Any database backup taken from CRM comes in encrypted format and cannot be compromised with. PCS provides complete activity log for network admin and users to trace the changes made by any user. PCS runs on top of hardened Linux OS. It comes with a complete ACL for administrators and floor managers. OS shell access is only available to support engineers for maintenance.